Eggs, soft-boiled --- 4 ea. 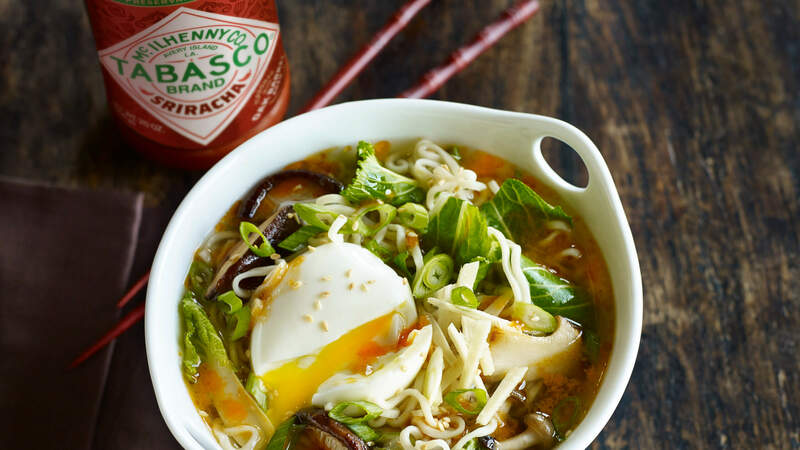 Whisk together TABASCO® Sriracha Sauce, vegetable broth and soy sauce. In a medium saucepan, cook Sriracha-vegetable broth, mushrooms and bok choy together until bok choy is tender. Place cooked ramen noodles into four serving bowls; pour broth over top. Top each bowl with green onion, fresh ginger, sesame seeds and a soft-boiled egg, and serve.